Paulding County Georgia is our home. We have been around since 2004 and a member of the Paulding County Chamber of Commerce since 2005. Silver Comet Amateur Radio Society (W4RSC) uses the WB4QOJ repeater 146.955 (-) 77Hz by special permission. We saw a need to offer a better solution for our community. We implemented a change and have been moving forward ever since sharing what we have learned along the way. We educate, develop, implement, and test radio skills. We are involved with community activities. We practice our skills and test our equipment. We compete to improve our skills. We test and experiment with new devices, new methods, new ideas. If this sounds like what you want to do, come join us. We will greet you with a hearty hand shake and offer you a place to sit among us. Here at SCARS, we have members of all skill levels and experiences. 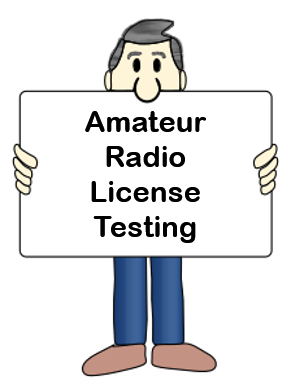 We have newly licensed Amateur Radio Operators (Hams) and we have Hams that achieved their licenses more then 50 years ago. Anyone joining us will be able to find someone to learn from or someone to mentor. HAMS helping HAMS. We all get by with help from the Elmers. 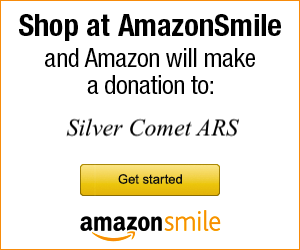 The Silver Comet Amateur Radio Society Inc is a 501(C)(3) NOT FOR PROFIT Georgia Licensed Corporation. Donations are gratefully accepted and for your convenience can be made via our PayPal link below. AmazonSmile is a simple and automatic way for you to support your favorite charitable organization every time you shop, at no cost to you. Simply click the link below to get started. The Silver Comet Volunteer (VE) Team offers Amateur Radio License examinations on the second Tuesday of each Month. Should these dates be inconvenient, Mr. Steve Walls (K4ELI) also offers License Testing on the first Thursdays of most months. Check the Event Calendar for either of these two testing sessions time, location, Point of contact, and Google Map link for directions. Click here to learn more about what to bring to the exam session. &COPY; 2004-2019 Silver Comet ARS, Inc. All Rights Reserved.